The gallbladder is a small pear-shaped storage organ that’s located just below your liver. It stores extra bile the liver produces and helps the body digest fats. When a person eats a high-fat meal, the gallbladder releases bile to the small intestine. Extra substances can form hard stones in the gallbladder. The gallstones stop bile from leaving the gallbladder and can cause other problems like inflammation (cholecystitis) If it causes severe pain, it can be a medical emergency. 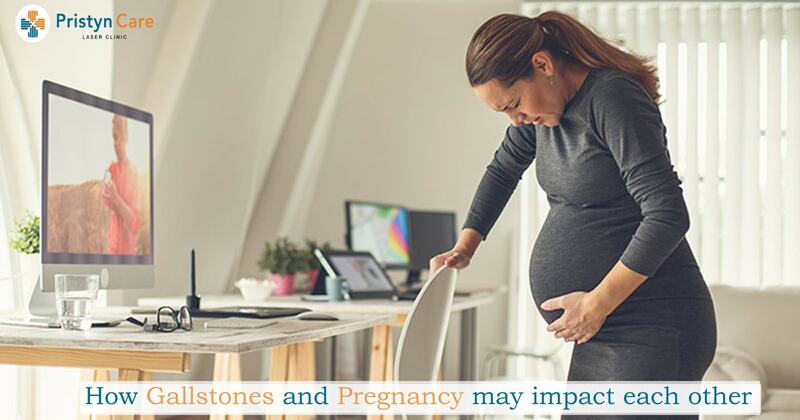 Women are more prone to gallstones, especially Pregnant women are at high risk because their bodies make more estrogen that can lead to an increased amount of cholesterol in the bile, and also reduce gallbladder contractions. This slowing of gallbladder contractions during pregnancy is known as cholestasis of pregnancy. Some pregnant women may develop “silent gallstones,” without any symptoms. Your doctor may prescribe a medication called ursodeoxycholic acid or ursodiol to women with severe itching related to cholestasis of pregnancy. Your doctor may induce labor at 37 weeks as cholestasis may complicate pregnancy. Your doctor may recommend watchful waiting if you are not experiencing extreme symptoms and discomfort. But gallstones that stop the bladder from emptying or cause an infection in the body may need surgery. Surgery during pregnancy isn’t preferred but a woman can get her gallbladder removed safely during pregnancy.